Truman passed away peacefully at his home on Tuesday, September 18, 2018. Truman was born October 7, 1926 in Prue, Oklahoma to Silas Mitchell and Rosa Faye (Adams) Reeves. Truman was proud to have served in the Navy on the aircraft carrier USS Intrepid during WW II. He received the Purple Heart medal as a result of wounds sustained on the USS Intrepid during a kamikaze attack. He enjoyed hunting with his brothers and sons although it was more for the camping out and companionship than for the possibility of bagging a deer. After moving to El Rancho Mobile Home Park he enjoyed the traveling shuffleboard tournaments and pool games with his buddies at the clubhouse. Truman was preceded in death by his parents, two siblings; Dennis Reeves and Carl Reeves, and son Randy Betlan. He is survived by Caroline Reeves of Manteca, his wife of 37 years. His sons Larry (Susan) Reeves of Willard, UT, Brian (Kathy) Betlan of Escalon, CA, Carl Betlan of Sacramento, CA, and Shawn (Kristy) Betlan of Prescott Valley, AZ and daughters Debra (Ricky) Reeves-Gutierrez of Sacramento, CA, LeAnne Reeves of Waimanalo, HI, and Jonna Hernandez of Manteca, CA. Eleven grandchildren: Claire (Curtis) Bailey, Elliott (Bonnie) Reeves of Perry, UT, Michal (Logan) Smith of Evanston, WY, Mallory (Derrick) Lawvor of Portland, OR, Taylor (Jordan) Reeves of Greenville, SC, Krystal (Jeremiah) Hamon of Pine Grove, CA, Caroline (Neil) DePaola of Fair Oaks, CA, Gabriel Betlan of Prescott Valley, AZ, Alexandria Betlan of Prescott Valley, AZ, Tiffany and Karissa Betlan of Anchorage, AK. Eleven great-grandchildren: Sydnee, Ryan, Autumn, Broedy, Kennedy, Sophia, Kayleigh, Juliana, Emmett, Charlotte and Calvin. The family would like to thank Hospice of San Joaquin for the excellent care they provided to Truman in his last days. 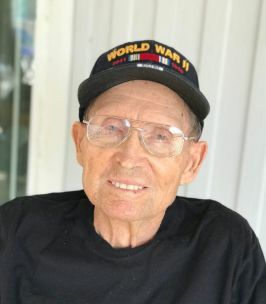 The family would ask that in lieu of flowers donations be made in Truman’s name to Hospice of San Joaquin, 3888 Pacific Avenue, Stockton, CA 95204. Memorial services will be held at Parkview Mortuary (3661 French Camp Road, Manteca, CA 95336) on Monday, September 24, 2018 at 10 AM. To send flowers to the family of Silas Truman Reeves, please visit our Heartfelt Sympathies Store.